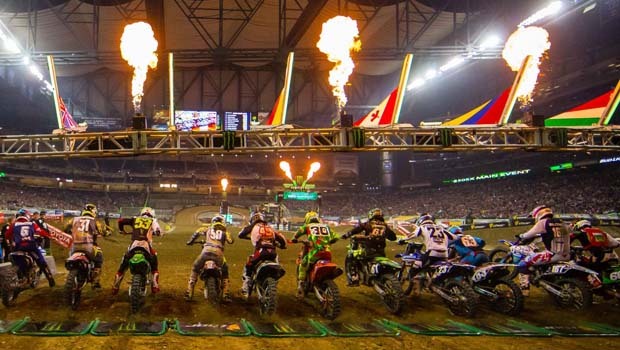 Monster Energy AMA Supercross Tickets Contest 2019 – Enter to win 4 tickets to see Supercross on Saturday, February 23, 2019 at Ford Field courtesy of Oakland County Moms and our friends at Feld Entertainment. e-mail me at lisa@oaklandcountymoms.com. Put FORD FIELD SUPERCROSS in the subject line and don’t forget to include ALL of your contact info (name/e-mail/phone #). Please let me know if you’ve completed steps 1-3. I’ll accept entries until Thursday, February 14, 2019 and random draw/notify a winner on Friday, February 15, 2019. The winner will receive 4 tickets to see Monster Energy AMA Supercross at Ford Field in Detroit on Saturday, February 23, 2019 (6:30p show time). Winner will be instructed on how to pick up the tickets via/Ford Field Will Call. Tickets start at just $15! Monster Energy Supercross Tickets are on sale now at Ford Field Box Office, online at www.FordField.com, TicketMaster.com, or charge by phone at 877-212-8898.